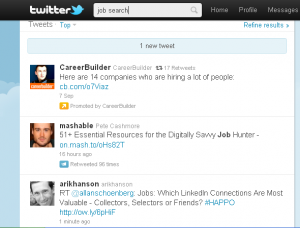 Social media is an important tool for job seekers. Another reason for expat job seekers to get on social media (as if they needed one): companies are devoting more effort to integrating social media networks such as LinkedIn, Twitter and Facebook into their recruitment strategies. Case in point: software from aQayo, Asia’s leading provider of e-recruitment systems. The company recently launched an upgraded version of its recruitment software designed to help companies manage their efforts across various social media platforms. The system is based heavily on influence metrics in the vein of Klout, a website that tracks users’ impact on social media interactions. With aQayo’s SocialRank™, we are helping hiring managers and recruiters rank their applicants in an all-new way, instantly determining their degree of connectivity. This is done by identifying which people serve as bridges between different groups. These ‘connectors’ typically have the strongest interpersonal skills, the most social influence, and are often thought leaders in their field of expertise. The moral of the story? Use social media (particularly Twitter). It just might land you that dream job abroad.